Top floor 2 bedroom condo in Elmwood Manor is open and bright! 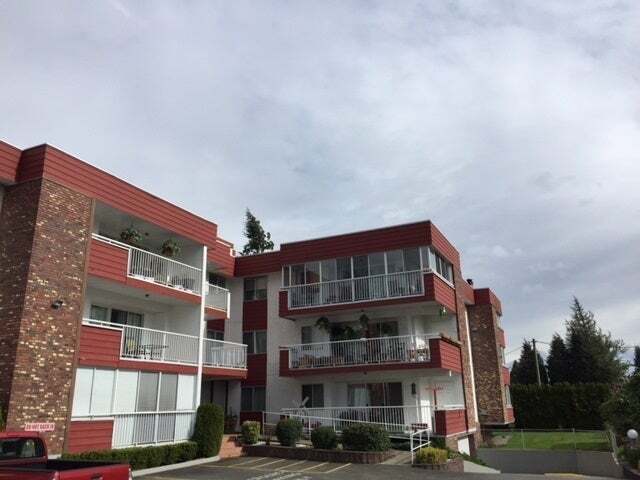 This unit is updated featuring a newer maple kitchen, flooring, baseboards, crown moulding and fresh paint throughout. Easy walking distance to everything you could need! North facing views of the mountains from your spacious porch. 55+, no pets, no rentals. Clothes washer and dryer to be removed.